B 60/10 C 10067110 https://www.kaercher.com/tn/professional/floor-scrubbers-scrubber-dryers/scrubber-driers/walk-behind-scrubber-driers/b-60-10-c-10067110.html The B 60/10 C mopvac for a new type of floor cleaning: the mop cleans and vacuums all smooth floors efficiently and hygienically, without the need for a power source. And it is also incredibly easy to use. The B 60/10 C mopvac for a new type of floor cleaning: the mop cleans and vacuums all smooth floors efficiently and hygienically, without the need for a power source. And it is also incredibly easy to use. Requires no power, is efficient and hygienically clean: the new B 60/10 C mopvac from Kärcher represents a completely new machine category in the area of floor cleaning. 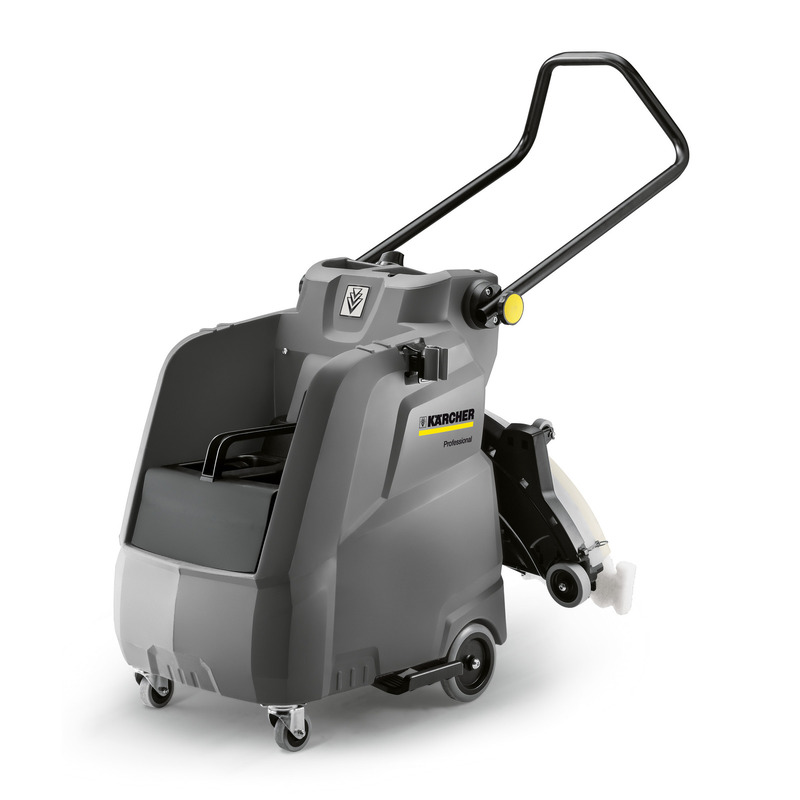 The mop combines conventional manual mopping with the advantages of a professional scrubber drier. The result: the machine cleans up to 1,500 m² of smooth surfaces such as PVC, linoleum, smooth natural stone without crevices, and synthetic or polished screed floors per hour. And does so entirely without power, without additional costs and without any annoying cords. Thanks to Kärcher's innovative technology, the suction pump is simply driven by the main wheel. The mopvac vacuums the dirty water with impressive thoroughness and does not leave behind any moisture or detergent residue. The B 60/10 C features a 10-litre tank for fresh and dirty water, a 60-cm-wide mop and is fitted as standard with the Home Base Mop Kit forthe convenient storage of a manual wiping mop.